The experience of The Witcher 2 has led CD Projekt Red CEO Marcin Iwinski to declare unequivocally that the studio will never again use DRM in any of its games. The guys at CD Projekt have never been shy about their feelings toward DRM: they don't like it. 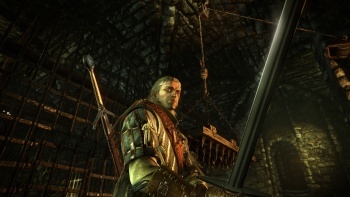 As far back as 2008 the company was espousing a DRM-free approach to games, and while the retail release of The Witcher 2: Assassins of Kings ultimately included date-check DRM, CD Projekt Red put out a patch to remove it two weeks after the game launched. And while that DRM may not have done much to keep pirates at bay, it turns out that it was very influential in one interesting and somewhat unexpected way. "Every subsequent game we will never use any DRM anymore, it's just over-complicating things," Iwinski said at a GDC presentation. Further convincing Iwinski of the futility of DRM is the fact that pirates ignored the GOG version of The Witcher 2, which was DRM-free at launch, and went after the SecuROM-protected retail release instead, almost as if they wanted to make a point. "They took the SecuROM retail version, cracked it and said 'we cracked it' - meanwhile there's a non-secure version with a simultaneous release," he continued. "You'd think the GOG version would be the one floating around." It's easy to say "never again" when there's no pressure to actually follow through on it, and Iwinski might be forced to sing a different tune if CDPR ever signs a big deal with EA, Activision or, God forbid, Ubisoft. Releasing games on Steam adds a certain nuance to the "DRM: yes/no?" question too. But what it really comes down to is customer service, and if more developers and publishers treated their customers like CD Projekt, I think we'd all be better for it.